Robert Skidelsky wrote a three-volume biography of John Maynard Keynes. His new book brings a Keynesian slant on the financial crisis, its antecedents and its aftermath. He argues against fiscal austerity. Fine, but the global economy is too complex for any simple diagnosis. 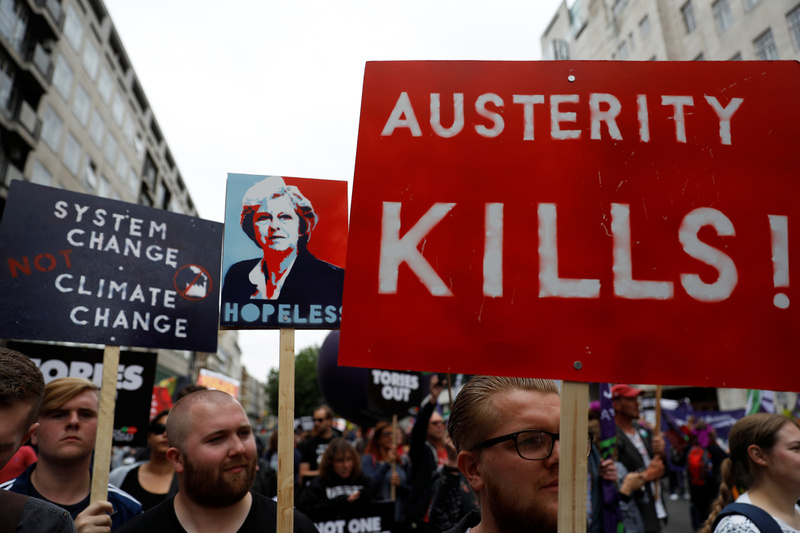 Demonstrators set off for Parliament Square on an anti-austerity rally and march organised by campaigners Peoples' Assembly, in central London, Britain July 1, 2017. “Money and Government: A Challenge to Mainstream Economics” by Robert Skidelsky was published by Allen Lane on Sept. 6, 2018.